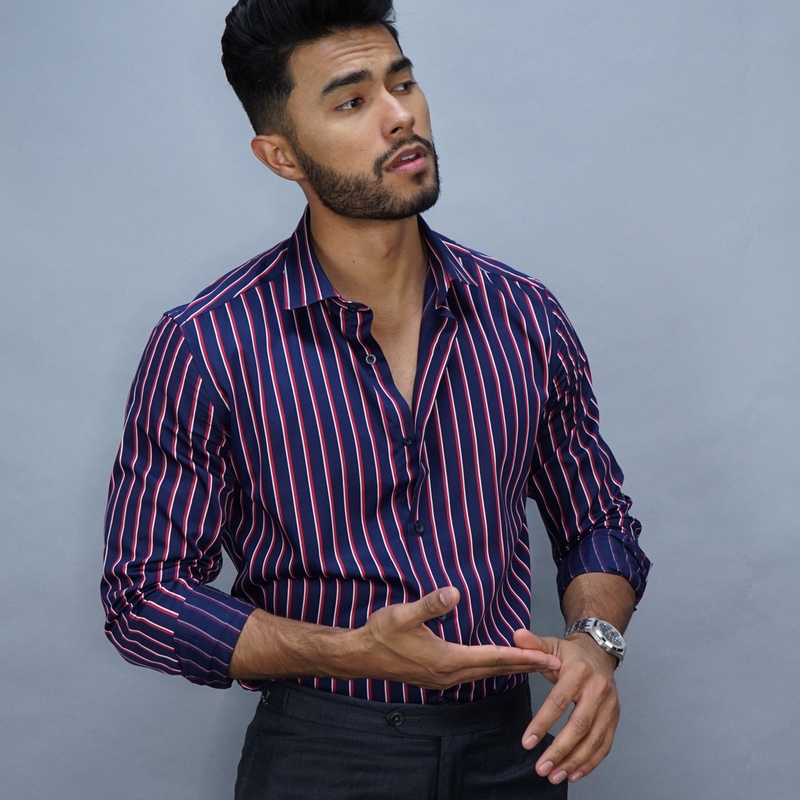 This sharp and modern easy-iron dress shirt is designed with convertible cuffs. Wear with a suit for that perfect business casual look, then dress it down for the weekend. Made to your measurements.